The tires should be like they are in the show. Advertisements. In the style of racing sponsorship decals. Drive a geico sponsered race decal car. Or maybe a Tide Detergent car. And they could put multiple sponsors on each car just like in auto sports. One large sponsor with the main color scheme and then a variety of smaller different sized sponsors all over the vehicle. I woild love to see these cars added. Ford Model T, like the one in Wacky Races. Blue, yellow, and red lollii pop. Three legs, like the Isle of Man flag. Swimming cap and goggles topper. A trail that looks like the waves behind a speed boat. Boost: smoke (not cool smoke, broken down, needs emissions bad kind of smoke). decals of rust, scratches, dents, etc. Can we tint the windows using the colour pallet. And neon paint would be nice. Off Road Racing trucks with dirt covered decals. Lucas Oil Off Road Racing Trucks. SCORE Stadium Racing Trucks. BAJA 1000 Trucks and Buggies would be Super Cool !! 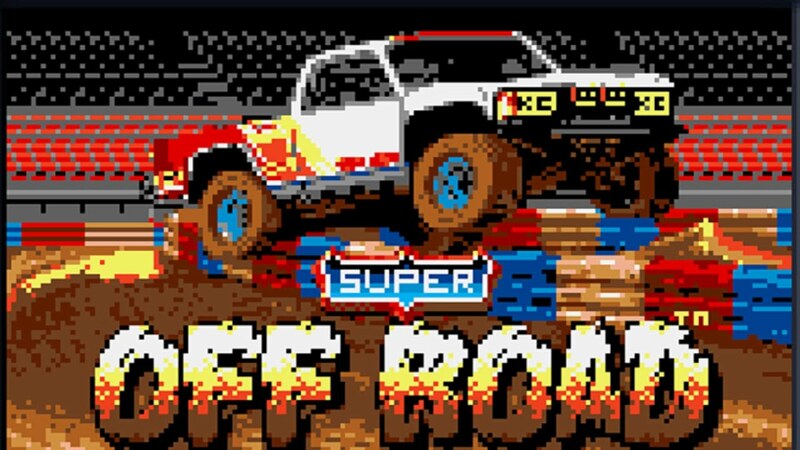 Ivan 'Ironman' Stewart's Super Off Road Racing rainbow Toyota truck would be a must! How about this, rather than having random item drops, can we have the same system from the events were we earn points from each match. With these earned points we can trade them in in an item shop which has all of the uncommons, rares and very rares availabel set at different point values. Whether we get paints and certs can still be random. The crates should also be available in the shop too. I also think each item and crate should be limited to 25 for each week, and the amounts reset every Saturday at midnight. Lastly cane we use 2 keys on crates so that only imports, exotics and black markets drop. I've got tons of decals I dont want that nobody will trade for. All I want, along with most people is a way to get better items without going through tonnes of crates full of decals. Last edited by Dizzy Boy on Fri Apr 13, 2018 9:11 am, edited 1 time in total. Hope they add it tho! Can we trade up exotics to black markets in the garage.